Did you know? Wood shakes, slate, and clay tiles were the most common residential roofing materials in America until the mid-1800s. Asphalt shingles are by far the most popular now, but there are more roofing material options available than ever. Which residential roofing materials are the most eco-friendly? Can Commercial Roofing Really Be Sustainable? “Sustainable” isn’t a word typically spoken in conjunction with the phrase “commercial roofing,” but commercial roofing has actually come a long way in terms of sustainability. 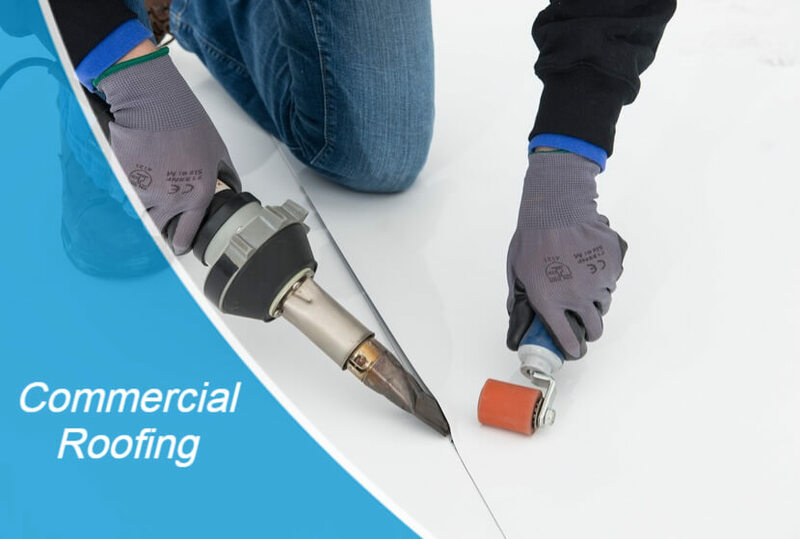 If you’re a business owner who is concerned about reducing your ecological footprint, you may be pleasantly surprised to learn more about modern commercial roofing materials. Asphalt Shingles – Asphalt shingles, though being economical and wildly popular choices for residential roofs, aren’t typically considered to be “green” due to the fact that they are petroleum-based products. However, shingle recycling is an economically viable option that is becoming more and more common. Roofing nails don’t even have to be removed from the shingles; nails can be separated by strong magnets on a shingle grinder, and then they can be recycled, too! Ground-up shingles are commonly used to help make pavement for new roads, and shingle grinds can also be used as an input for new roofing materials. For example, Owens Corning now uses recycled content in many of their shingle products, including their popular TruDefinition Duration shingle line. Natural Slate – Slate is an ecologically-sound material option, as it’s extracted from naturally-occurring rock. Slate has been a popular roofing choice for more than a thousand years, due in part to the fact that it is waterproof, fireproof, and incredibly durable. A properly-installed slate roof can last 100 years or more and requires very little in the way of maintenance. In fact, there’s a slate roof in England that’s been in service since at least the 8th century AD! If you only have to put a roof on your building ONCE and never need to replace it, that’s a pretty good strategy for reducing your ecological footprint! Metal Roofs – Standing seam metal roofs are another option for minimizing your footprint as they are also durable and low-maintenance. Metal roofs can stand up to rain, snow, wind, and even fire. Because metal is naturally reflective, a metal roof can actually help you reduce your energy use for heating and cooling, too. Metal roofs are long-lasting, but if you ever decide to remove your roofing, the metal used is also 100% recyclable! Wood Shakes – Wood shakes (also called wood shingles) are one of the most eco-friendly choices available for roofing, as they are made from all-natural, renewable materials – trees! Cedar is the most common, and a wood shake roof can easily last 30 years or more. Many homeowners also prize wood shakes for their natural beauty and “greener” look. Concrete Tiles – Concrete tiles are one of the more recent additions to the roofing product lineup, and they certainly have their advantages. They tend to be thicker than clay, even though the weight is similar. Concrete roof tiles are formable, durable, and fireproof, and have been shown to outlast most other available roofing materials. Ok, we’ve established that there are more eco-friendly residential roofing material options than many people realize, but what about commercial roofs? Most of the materials mentioned above aren’t practical choices for a larger commercial building with a low-slope roof. Are there any eco-friendly developments in the commercial roofing industry? Metal Roofing – Metal is one of the few options that can work equally well for either residential or commercial applications. Metal can be used on many low-sloped roofs and is a fiscally-responsible commercial roofing choice thanks to its longevity and low maintenance needs. Metal is a very popular choice for warehouses, large parking facilities, farm buildings, and other large agricultural and industrial applications. EPDM Rubber – In 2006, the EPDM Roofing Association launched a project to determine the feasibility of recycling EPDM roofing. Not only it is feasible, but EPDM recycling has now become the largest commercial roofing recycling project in North America! Recycled material from EPDM roofs is used to make walkway pads for new or existing roofs. Millions of pounds of EPDM membrane has been diverted from landfills as a result of this effort. PVC Roofing – PVC roofs can often be installed directly over existing roofs, saving the energy resources and labor required to tear off old roofs, and preventing those old materials from going to a landfill. PVC also requires much fewer non-renewable resources to produce than single-ply or built-up roof systems and is a commercial roofing material that can be recycled directly back into new roofing products. TPO Roofing – TPO is an abbreviation for Thermoplastic Polyolefin, a 100% recyclable material that can be melted, purified, and reformed. Recycled TPO membranes are typically incorporated into the bottom ply of new TPO roofing membranes. There are also a number of manufacturers that offer TPO membranes that contain recycled content. Another way to reduce your carbon footprint is to find other ways to conserve energy resources. Installing a skylight or skylights into your roof is a good way to introduce natural light into your home or business and reduce your need for artificial lighting. And on cold days, skylights invite the natural warmth of the Sun into your residence or commercial facility, helping to cut down on heating costs. As important as it is to choose the right roofing material for your environmental conscience, the most important key to promoting the longevity and sustainability of your residential or commercial roof is having it properly installed in the first place! Finding the best professional roofing contractors for the job is paramount to the success of your roof in providing reliable protection for your structure. 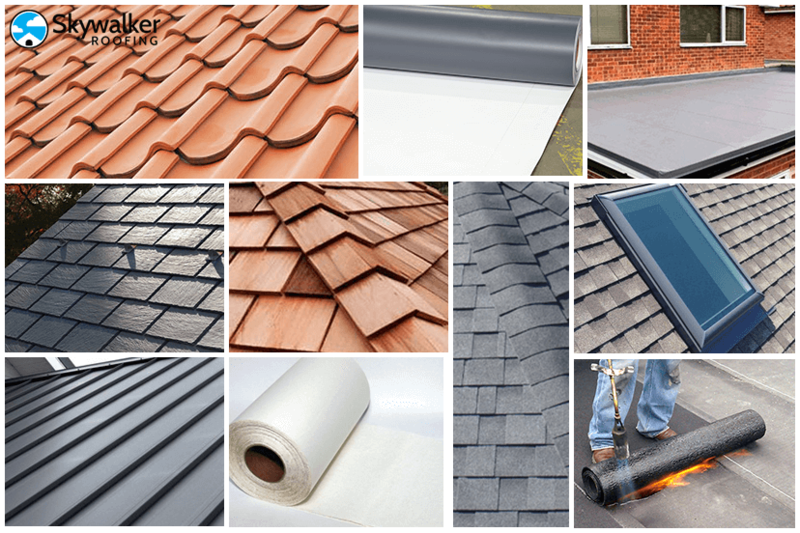 If you’re looking for a top-quality, manufacturer-authorized, local roofing company for all your residential and commercial roofing needs, we have the solution – Skywalker Roofing! Skywalker is the premier roofing contractor for the NC Piedmont Triad and Triangle regions, as well as for the Roanoke, VA area. Skywalker has completed well over 15,000 projects for our satisfied clients, and we strive to offer personal attention and expert workmanship for each and every customer. If we can’t do the job right, we won’t do the job at all! 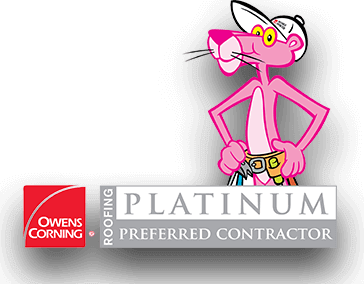 Skywalker Roofing is proud to have earned the elite statuses of Platinum Preferred Contractor with Owens Corning and Quality Master with Certainteed, and we offer lifetime workmanship warranties and true 50-year, non-prorated warranties for labor and materials on roof installations. 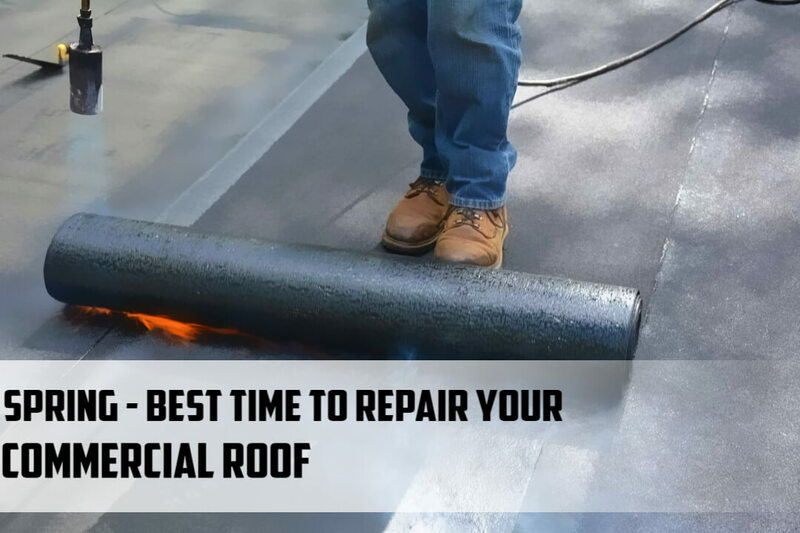 We even offer a 2-year warranty on our residential and commercial roof repair services! Check us out online at Skywalker Roofing or give us a call at (336) 338-8620 and give us a chance to show you why Skywalker is THE best roofing contractor for the job!